Through guard gate make a left on N 68th Place. Follow past N 68th Way. Home is on the Right. Hello, I’m interested in 32918 N 68TH Place and would like to take a look around. The details on 32918 N 68TH Place: This house located in Boulders, Scottsdale, AZ 85266 is currently pending sale for $529,000. 32918 N 68TH Place is a 2,009 square foot house with 3 beds and 3 baths that has been on Estately for 8 days. 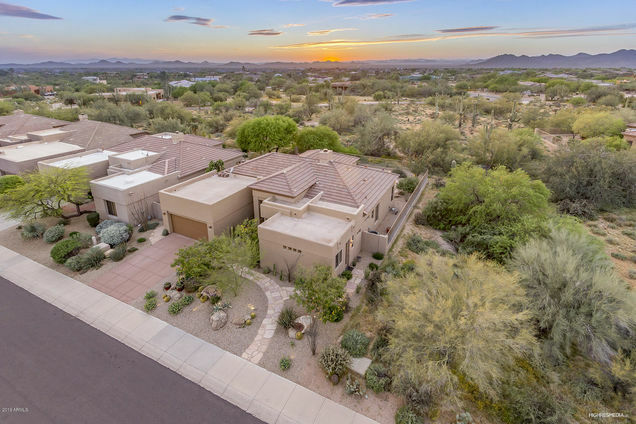 32918 N 68TH Place is in the Boulders neighborhood of Scottsdale and has a WalkScore® of 10, making it car-dependent. This house is in the attendance area of Black Mountain Elementary School, Cactus Shadows High School, and Sonoran Trails Middle School. Listing Courtesy of: ARMLS and Keller Williams Northeast Realty.